We’d like to extend New Year’s greetings to all our readers – we’ll be back to our regular blogging schedule next week. Meanwhile, it’s that time of year when some publications are looking back at the top stories of the year. As the year grinds to a halt, we’ve found a few wrap-up stories about goings-on in the workplace that you might find entertaining and occasionally elucidating. Business Week provides some answers to the questions of how many ways a company can shoot itself in the foot and how many ways fate can turn against a company or executive, trashing reputations and fortunes along the way in its annual review of the worst PR moves of 2006. Brent Hunsberger of The Oregonian’s At Work compiled a year-end list of the biggest workplace stories of 2006, and Diane Stafford of The Kansas City Star’s At Work offers her perspective on 2006 work issues. Associated Press’s Ellen Simon gives her take on the top 20 biz stories of 2006 in The Denver Post. And for a good overall look at trends, workplace and otherwise, The New York Times Magazine’s 2006 Annual year in Ideas is always worth a read. We recently blogged the beginning of a national dialogue on universal healthcare. Because we focus our attention on the workers comp perspective, we pointed out that any national health plan will come up against – and in some ways run contrary to – the long-established, state-based workers compensation systems. The National Council on Compensation Insurance (NCCI) recently published a study (PDF) that compares the costs of similar injuries under conventional health insurance and workers comp. Not surprisingly, the costs under comp are higher: higher not just for some injuries, but in literally each of the dozen injury-types examined. The study compares data only for the first three months after the injury. We can assume that the further out you go from the date of the injury, the greater the differential between the two systems. If anything, the three month time frame of this study significantly understates the higher costs of health care in the comp system. NCCI studied a number of “chronic and complex” injuries (herniated disc, carpal tunnel, bursitis) and “acute and trauma-related” injuries (fractures and cuts). The cost differentials tended to be much higher in the “chronic and complex” injuries, with one exception: the cost of treating broken ankles was 50% higher in the comp system, comparable to the higher costs for the chronic and complex injuries. The costs of treating bursitis, carpal tunnel and herniated discs under workers comp were more than double those of conventional health plans. : people treated under the comp system go to doctors and physical therapists much more often than those injured away from work. Why do people treat more often in the comp system? Here we move beyond the limited scope of NCCI’s study and draw upon our 20+ years in the comp business. When dealing with comp, you need to Keep in mind the underlying condundrum: people injured and out of work are being paid (indemnity) for not working. To be sure, injured workers all want to get better and most look forward to a speedy return to work. The road back to work may be paved with good intentions, but, alas, it’s also full of potholes. If you are at all ambivalent about your job (and many people are), if your injury gives rise to second thoughts about your safety at work, if being inactive while out of work leads to depression (it often does), you might find yourself focusing on the pain and the things you no longer can do. You might succomb to a “disability syndrome,” where you no longer think of yourself as a worker, but as a person with a disability. Thinking of yourself as “disabled” is usually not a conscious decision, but more of a sublimal thought process. Perhaps equally important, you might have an employer who sends mixed messages about your returning to the job. Maybe underneath it all, they blame the you for the injury and they don’t want you back. : People out of work have lots of free time to visit doctors and have tests run. : Physical therapy feels good, so the end point keeps receding into the future. Where health plans arbitrarily cap the number of visits allowed per body part, comp has a harder time imposing any such limits. Co-pays in the conventional health system serve as a brake on over-utilization. In addition, unless people with non-work-related injuries have disability insurance, they are not being paid during their recovery. They have a lot of incentive for getting back to work as quickly as possible. The incentives in the comp system are not so readily aligned with return to work. 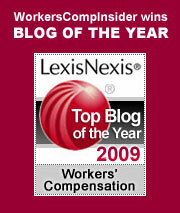 Injured workers can “root in” on comp benefits. It can be addicting to keep going back to your doctor and your physical therapist. Especially in “chronic and complex” injuries, the search for permanent solutions can be endless. Thus comp involves a convergance of potentially contradictory forces: virtually unlimited medical care for your injury with no disincentives to the worker for seeking additional treatment; and the paradoxical position of being paid not to work, which may discourage a quick return to productive employment. There is a way to align indemnity benefits for workers comp and non-work-related injuries: implement 24 hour coverage. Under this approach, every worker is covered by a disability policy that mirrors the benefits under comp. Lynch Ryan experimented with programs of this type in the mid-1990s. We aligned the indemnity benefits of the disability insurance with those of a given state’s workers comp benefits. It was a great concept, but employers were reluctant to buy it. Comp, after all, is a statutory requirement, while disability coverage is optional. And even under a 24 hour program, the co-pays and treatment limits under conventional health insurance will always be less attractive to the consumer than the more open-ended benefits under comp. Because comp is such a small part of the overall health system (about 3%), planners trying to craft a national health program are unlikely to take into account the comp system’s idiosyncrasies. If we as a nation ever figure out how to provide universal health coverage, we might well end up solving one problem and creating a myriad of new problems in the comp system. That would be bad news for employers (and perhaps good news for the consultants who serve them). Hank Stern at Insure Blog is hosting this week’s edition of Cavalcade of Risk. Kudos to Hank, who is the founder and intrepid leader of this carnival, which keeps growing. And while visiting the Cavalcade, take a few minutes to check out more from the host blog. Hank and and his fellow bloggers – Bob Vineyard and William Halper – consistently serve up informed and interesting insurance commentary. Hank is from Ohio, Bob is from Georgia, and William is from California, so the blog’s got some good geographic diversity going on – they’ve got things covered! California: There’s Gold In Them Thar Hills! With that in mind, I’d like to suggest how the history of California’s pioneers and prospectors is an allegory of its workers’ compensation ups and downs over the last 20 years. From 1840 to 1860 more than half a million people made the dangerous, often perilous, journey from eastern America to California to hunt for prosperity. It was one of the greatest migrations in human history, and, for the most part, it was about gold and humankind’s ancient fascination with it. Gold means wealth. In the late 1840s, California’s gold was found lying on the ground, just sitting there waiting for someone to pick it up; today, it’s found in the state’s workers’ compensation insurance companies. Right now, those companies are seeing a lot of gold just waiting to be picked up and pocketed. They’re the ones who have survived the perilous economic journey of the last 20 years, or they’re the start-ups taking advantage of the newest gold rush. But from 1995 to 2003, 28 companies died on the quest.. As in the 19th century, only the strong survived. During the early and mid-1840s, thousands of people had already made the 2,650 mile journey from east to west, specifically, from Springfield, Illinois to Oregon and from there to California. In early April of 1846, the Donner family was one such group. The Donners weren’t heading to California because of the gold, just for the potential of a better life. In Independence, Missouri, the Donners joined a number of other migrating families, eventually growing their number of men, women and children to 87. The wagon-train party elected George Donner and Frank Reed its leaders and continued west. It was just outside Fort Bridger that the group made its big mistake: relying on faulty advice, it made a left turn, instead of a right turn, and that made all the difference. That wrong turn took them 125 miles, or 21 days, out of their way. After traveling 2,500 miles in 150 days, the party missed getting over the high Sierras and into California by one day, reaching the steep base of the mountains on 31 October just as an early blizzard arrived. Ultimately, 41 of the 87 perished, the survivors resorting to cannibalism. The Donner party’s calamity showed just how perilous the journey to California could be. Those rescued finally made it to Sacramento in February of 1847, 11 months before the first discovery of gold was to happen very nearby. Gold was discovered in California on the cold, raw morning of 24 January 1848 when James Marshall, building a saw mill for John Sutter, spied a few small nuggets on the banks of the American River at Coloma near what is now Sacramento. Shortly after that, General John Bidwell and Major Pearson Reading discovered gold in the Feather and Trinity rivers, respectively, and the Gold Rush was on. Ultimately, more than half a million people made the difficult journey to California to seek fortune, most of them retracing the Donner party’s footsteps, up until the fateful left turn, that is. At its height, between 1848 and when it came to a crashing end in 1860, prospectors were turning out an astonishing $81 million a year. After it was over, the prospectors took themselves, their winnings and their women to the next mother-load in Alaska. And the California economy declined for a while. Like the period from 1840 to 1860, California’s workers’ compensation market has seen huge up and down swings in the last 20 years. 1993 was the year that the legislature and the Commissioner decided to begin tinkering with the state’s 80 year old Minimum Rate system. In that year, California’s direct written premium had peaked to $9 billion, but a series of rate decreases caused premium to drop to $5.7 billion by 1995. And that’s when the state made its own fateful left turn – the minimum rate system gave way to open rating, but without any restraint on medical or legal excesses or abuse. Piranha-like competition drove the system crazy. By 1997, direct written premium was again rising and heading north in a hurry. In fact, during the following seven years, premium rose to nearly $24 billion, and, were it not for a rate decrease of 2.9% ordered in the waning days of the Davis administration, it would have topped $25 billion. Rates had become the highest in the nation averaging more than $6 per hundred dollars of payroll, while benefits to injured workers were among the lowest. By 2005, absent any serious reform, total premium was projected to hit $29 billion, Moreover, the state had suffered through 28 insurer insolvencies making the state fund California’s largest insurer. California’s total premium was higher than many western European nations. Things had gone from great to terrible. In the late 1980s the profitability of California’s workers’ compensation insurers was almost three times the national average; by the late 90s profitability was non-existent; it had become the lowest in the nation. Enter Arnold Schwarzenegger. What a difference getting serious about the law can make. Three highly-targeted law changes produced a few gored oxen littering the side of the road, a gargantuan decline in losses and a drop in premium of more than $6 billion. California’s Division of Workers’ Compensation is producing reports to explain how the law changes have worked so well (and, in some cases, how they have not), and I commend all of it for your reading enjoyment. But here’s what I find interesting – total premium remains in excess of $18 billion, still double the level of 1997. And that is why there’s a Gold Rush of sorts happening again in California right now. After an eight year, long dark night, California’s workers’ compensation system has become the economic equivalent of Boomtown. Because of those still high rates, insurers (with new entries flying over the Donner Pass by the planeload) are enjoying a combined ratio of less than 80% (64% in 2004, alone; it makes one have a greater appreciation for just how obscene abuses in the system really were). The biggest problem their senior managements have is figuring out if they can get trucks large enough to carry all the money to the bank. Like the original Gold Rush, these good times will last for a few more years, maybe one or two, three, if everyone’s lucky. After that, we’ll see if carriers, being unable to withstand their newfound and over-the-top profitability, drive the market from feast to famine and, like the Donner Party survivors, once again take to eating their young. Posted in History, State News | Comments Off on California: There’s Gold In Them Thar Hills! When it comes to universal health insurance, we’ll have to push the Churchill quote back even further. Senator Ron Wyden (D-Oregon) has proposed a new bill that at least brings us to the beginning of the beginning. The bill, entitled “The Healthy Americans Act,” guarantees universal, private health insurance for all Americans. (For an introduction to the issue and some useful links, see Managed Care Matters here.) Under the Wyden bill, every family, indeed, every individual, will be assured coverage by any insurer they choose. Limits on coverage for pre-existing conditions will be prohibited. Insurers cannot reject anyone, regardless of their health or genetic dispositions. The Wyden bill will end our employer-based system, replacing it with a completely portable plan that is controlled by the individual. Employers will contribute financially to the plans, but selection will have nothing whatsoever to do with one’s employment. Health Care Rationing: every plan has coverage limits. It’s one thing to guarantee coverage to all citizens, it’s quite another to figure out what is included in the coverage: Exotic treatment for serious illnesses? Number of chiropractic and physical therapy visits? At home kidney dialysis? Brand name medications? Catastrophic Illness and “End of Life” issues: who makes the decisions? who pays the bills? If you glance through some of the initial reactions to the Wyden bill at Ezra Klein’s blog, you’ll see that workers comp is marginal to the discussion. Beyond that, it’s misunderstood. Comp is and probably always will be different from conventional health care. So no matter how the dialogue on universal health care proceeds, the Insider will try to keep a steady focus on the implications for the workers comp system. Comp is a state by state program, so any federally mandated health care mandates will rub up against a wide variety of state practices. In most states. employers can require injured employees to seek treatment at specific occupational medical practices. This may run against the open choices of the Wyden plan. Workers unable to work collect indemnity, usually about 2/3 of their average weekly wage. So it really matters whether a condition is work related or not. The goal in workers comp is always the quickest possible return to productive employment. The goal in regular health insurance is a return to optimum health. The two goals are similar, but not necessarily synonomous. There are times when they are incompatible: for example, returning to a job that is inherently unhealthy. Workers comp never requires co-pays or deductibles from the injured worker. No matter what shape the new universal health coverage takes, there will be significant charges – and incentives for cost savings – for the consumer. Workers comp will always offer better benefits to injured workers than they can receive under conventional health insurance. Employers will always have to pay for it, with their costs running parallel to their losses. In exchange for providing the (state mandated) coverage under comp, employers will want to maintain at least some management control over the course of treatment for workplace injuries. While it’s far too soon to worry about the impact of universal health insurance on workers comp, it’s certainly not too soon to speculate.This is not the end of the discussion, or even the middle. We’re at the beginning of the beginning, which is a very interesting place to be. Rita Schwab of MSSPNexus is the gracious hostess for this week’s Health Wonk Review. In a happy coincidence, there are 22 blog participants in this, our 22nd issue, so it’s a good meaty issue for you to peruse with morning coffee. Rita does a masterful job organizing and offering a synopsis for all the posts. Sounds like a vital role indeed. Here is a post where she explains more about the role that MSSPs play in the health-care arena. You might think that the utility of wearing bicycle helmets has been so well established, that there is no serious questioning of laws requiring their use. Well, as with everything else, there are two sides to the issue. While the Insider always leans toward the disciplined use of personal protective equipment such as helmets, it’s important to keep an open mind. : Almost three-quarters of fatal crashes (74%) involved a head injury. : Nearly all bicyclists who died (97%) were not wearing a helmet. : Helmet use among those bicyclists with serious injuries was low (13%), but it was even lower among bicyclists killed (3%). : Only one fatal crash with a motor vehicle occurred when a bicyclist was in a marked bike lane. : Nearly all bicyclist deaths (92%) occurred as a result of crashes with motor vehicles. : Large vehicles (trucks, buses) were involved in almost one-third (32%) of fatal crashes, but they make up approximately 15% of vehicles on NYC roadways. : Most fatal crashes (89%) occurred at or near intersections. : Most bicyclists who died were males (91%), and men aged 45–54 had the highest death rate (8.1 per million) of any age group. The New York Times Sunday Magazine (registration required) ends the year with a number of brief profiles of provocative and cutting edge issues. The recent issue included another possible argument against bicycle helmets. Ian Walker, a psychologist at the University of Bath, was intrigued by an urban myth involving cyclists: For years, cyclists who ride on city streets have sensed that if they wear helmets, they are more likely to get hit by a car. Walker decided to put the myth to a scientific test. He rigged his bicycle with an ultasonic sensor that could detect how close cars came to him when they passed. He spent a couple of months on the road, with and without a helmet, until 2,500 cars had passed him. (Let’s hear it for the scientific method!) Examining the data, he found that when he wore a helmet, motorists passed by 3.35 inches closer than when his head was bare. So riding with a helmet appears to be a little more dangerous than riding without. Walker theorizes that helmets change the behavior of drivers. Motorists regard a helmet as a signal that the cyclist is prudent and experienced and thus can be approached with less caution. “They see a helmet and think, Oh, there’s a serious rider,” Walker says. “And you get hit.” By contrast, drivers apparently view helmetless riders as less reliable and more at risk, so drivers are more cautious when passing them. Walker’s study will be published next year in the journal Accident Analysis and Prevention. When Walker circulated his preliminary findings, he got a lot of angry emails. Helmet advocates accused him of opening the door to mayhem and carnage on the roads. Walker takes a different view. He thinks that by responding to a helmet, drivers are making unconscious judgments about cyclists. He thinks the answer is not necessarily in foregoing the use of helmets, but in educating drivers that passing helmeted cyclists is no different from passing those without helmets. Walker personally has little use for helmet laws or, for that matter, helmets. He rarely wears one. During his study, he was struck twice, once by a bus and once by a truck (larger vehicles, it’s worth noting, just as was found in the New York study). Both times he was hit, he was wearing a helmet. So Walker seems to believe he’s safer without the helmet. It would be interesting for him to present his findings to an audience of the families and friends of the 225 deceased riders in New York City. That would be one scientific symposium worth the price of admission. Trucking problems – Jordan Barab of Confined Space comments on a pair of articles on the trucking industry that recently appeared in The New York Times and the Chicago Tribune in his post entitled American Truckers: Sweatshops on Wheels, Adrift In A Tumultuous Sea. He discusses the “race to the bottom” that the trucking industry has become since deregulation in 1980 in terms of pay, safety, and overall working conditions. Since this is also a vital public safety issue, these matters concern us all. See our related post from last year: No bargains to be had in shortchanging trucking safety. Study relating fatigue and accidents – In another transportation-related news item, Canada’s Federal Railroad Administration (FRA) recently released a study linking worker fatigue to train accidents, stating that human factor errors have been responsible for nearly 40 percent of all train accidents over the past five years. Human factor accidents are also increasing, while accidents related to other causes are decreasing. (Via rawblogXport). Personal responsibility – While workers comp is essentially no-fault in nature, the cost is inextricably linked to the larger costs of health care, so the trends in that arena are worth following. Joe Paduda of Managed Care Matters has recently featured a series of posts about the issue of personal responsibility as a factor in insurance coverage. One post dealt with a new policy that West Virginia has instituted for Medicaid beneficiaries, enhancing benefits for those who adhere to healthy behaviors and penalizing those who don’t. In the second post, he produced a “synopsis of some of the more trenchant observations” from other blogs on the topic of patient responsibility. Both are worth reading, along with the posted comments. More Blackberry hazards? – Blackberry thumb might be the least of your potential liability woes with new tech devices. Michael Fox of Jottings by an Employers Lawyer blogs about the perils of multitasking as seen by a recent $4.1 million judgement awarded to a woman after a collision with a van driver who was looking down to read directions on his Blackberry. Employer misconduct – We’ve been following the case of the Station nightclub fire on this blog for a number of years now, and note that the $1.07 million fine against the owners of the club for their failure to carry workers compensation was upheld. Four employees were among the 100 fatalities in the fire. The Derderian brothers were looking for relief related to to their bankruptcy filing last year but the judge found that a penalty could not be waived. Terrorism Exposure – TRIA is set to expire on December 31, 2007. In preparation for this, RIMS has issued a position on a Long-Term Solution To Terrorism Exposure. School violence – The Public Entity Risk Institute (PERI) will host a week-long Virtual Symposium to address the growing problem of violence in our nation’s schools. The symposium, entitled “Confronting Violence in Our Schools: Planning, Response, and Recovery,” will be presented on the PERI Website on January 8-12, 2007. The program will be moderated by Lauren Eib, Risk Manager for the Tucson Unified School District in Tucson, AZ. We’ve all functioned under the ADA for long enough to know that it is a tough task master for employers. Above all, the Act requires employers to go through a specific process prior to terminating an ADA-eligible employee. Any foreshortening of the process, any jumping to conclusions, no matter how seemingly well reasoned or logical, are likely to meet with failure in the courts. Case One: You have an equipment operator who has a history of epilepsy. One day he experiences an “aura” prior to work – a strong indication of a pending seizure. Instead of reporting the aura to his supervisor, he goes about his regular job. He has a seizure while driving a pick up truck. Fortunately, he is driving slowly. A passenger is able to gain control of the vehicle. Do you fire him for cause? Do you fire him because he is a danger to himself and others? Or do you try to accommodate his seizure disability? Case Two: You hire a service technician to install telephone lines in residential homes. On his application, he denies any criminal history. Three months into the job, you discover that 15 years ago, he was acquitted of attempted murder by reason of insanity. He spent two and a half years in a mental hospital. Do you terminate him immediately for misrepresenting his history and out of concern for your customers? Or should you allow him to continue working? Let’s begin with the equipment operator suffering from epilepsy: Dark v. Curry County. After the incident, the county referred the employee to a neurologist, who determined that the uncontrolled epilepsy comprised an immediate threat of harm to the employee and others. So the county terminated him. He was fired not for his wilful misconduct (failing to report the aura), but for the future risk inherent in his disability. Can the employee perform the essential functions of the job with reasonable accommodation? If not, can he be accommodated by taking on other functions for which he is qualified (and which do not entail the operation of heavy equipment)? If not, how about accommodating him with medical leave, so that he has time to resolve the medication issues that resulted in a seizure? By failing to follow the ADA procedure, the county violated the employee’s rights under the ADA. Even if they had terminated him solely for his wilful misconduct, it’s likely that some accommodation process would have been required. Judge O’Scannlain points out that “conduct resulting from a disability is considered to be part of the disability, rather than a separate basis for the termination.” In other words, if you want to terminate someone because of their disability, you must first explore any and all “reasonable accommodations.” The judge remanded the case back to a lower court for reconsideration. NOTE: We discuss another ADA case involving a mental disability here. Our other case comes from last year: Joshua Liam Josephs v. Pacific Bell. Josephs was hired in 1997. On his job application, he denied any criminal history. After three months on the job, he had the full support of his immediate supervisor, even after a criminal background check revealed the “not guilty by reason of insanity” plea and the subsequent hospitalization. His supervisor saw no reason for firing him. Nonetheless, higher-up managers at Pac Bell decided to terminate Josephs. They feared that given his history of a mental disability, he might assault one of their customers. A jury found that the company had discriminated against Josephs and the appeals court upheld the verdict (not without a stinging dissent by one judge who focuses on the potential liability for the employer). With over a decade of relative stability between the troubled past and his Pac Bell employment, Josephs was well beyond the “immediate threat” standard of the ADA. He even submitted as evidence an autobiography written during his hospitalization, in which he confronted the demons of his illness and documented his efforts to move on. By ADA standards, he proved his case. The ADA is a formidable piece of legislation designed to end discrimination for the physically and mentally handicapped. It often places employers between the proverbial rock (the rights of the disabled) and a hard place (potential liability exposures). When confronted with ADA issues, employers need to understand the substantial burden of proof they face as they make decisions pertaining to the law. I highly recommend Judge O’Scannlain’s meticulously reasoned opinion as a guideline for employer decision-making. Managers tend to take action in the heat of the moment. Once a case hits the courts, everything is reduced to an agonizingly slow pace, with every action, every word of every document, carefully scrutinized. All of which serves to remind us that under the ADA, process is paramount: take the time to walk (not run!) through the process and document every step. It might seem like a lot of work at the time, but it’s a lot quicker than reconstructing every decision under the glaring lights of a courtroom. Special thanks for the heads up on these cases from Walter Olsen at Overlawyered and also from Philip J. Griego, who provides some additional details. Cavalcade of Risk is up! Michael Cannon at Cato@Liberty has been doing double-duty hosting blog carnivals lately. Last week, he hosted Health Wonk Review, and today, he just launched a fresh edition of Cavalcade of Risk. He offers a good and diverse collection of articles, and packages them up nicely with his commentary – check it out! Posted in News roundups | Comments Off on Cavalcade of Risk is up!